Юлия, и в чем проблема? 1) Перевод у вас есть. 2) Настоящее длительное имеет глагольное окончание -ing, но это время возможно не везде, где я не написал, значит его нет. 3) Ищите 3 форму глагола. 1. What (you were doing) (were you doing) (did you do) when she rang up the day before yesterday? 2. We (have gone) (went) (were going) to a wonderful concert last Sunday. 3. Bad news (travel) (are traveling) (travels) fast. 4. My sister said that she (won’t need) (wouldn’t need) (doesn’t need) the car the following day. 5. Everybody (likes) (dislike) (like) fine weather. 6. What time (are your classes starting) (do your classes start) (did your classes started) ? 7. The students (have already carried out) (has already carried out) (had already carried out) all the experiments. 1. We will pass the exams next month. a) The exams will be passed by us next month. b) The exams will pass by us next month. c) The exams will have been passed by us next month. 2. They are conducting an experiment now. a) An experiment is being conducted by them now. b) An experiment is conducted by them now. c) An experiment is conducting by them now. 3. I have written a letter. a) A letter was written by me. b) A letter have been written by me. c) A letter has been written by me. 4. His parents helped him yesterday. a) He has been helped by his parents yesterday. b) He has helped by his parents yesterday. c) He helped by his parents yesterday. 5. We were watching a scientific program. a) A scientific program were being watched by us. b) A scientific program was being watched by us. c) A scientific program was watched by us. Use the verbs in passive. 1.Many subjects …… by students at the University. (to study). Определите, к какой части речи относятся данные слова и переведите их. Переведите следующие прилагательные на русский язык. Образуйте их сравнительную и превосходную степени. Clever, dense, cheap, cold, wet, tasty, expensive, popular, careless, cheerful, good, far. Употребите глагол в правильной форме. Раскройте скобки, используя правила согласования времен. 1. They said that the weather (to be) nice the next day. 2. My colleague told me that the project (to make) in time. 3. Kate said she (to do) her research work at that moment. 4. The newspapers tell the readers that the delegation (to arrive) the previous Monday. 1. We …….know our rights. 3. We have no bread. You ……go to the bakery and buy some. 4. I am short-sighted. I……see that poster. 1. They said that the weather would be nice the next day. 2. My colleague told me that the project was made in time. 3. Kate said she was doing her research work at that moment. 4. The newspapers tell the readers that the delegation has arrived the previous Monday. 1. We should know our rights. 2. Birds can fly. Animals cannot fly. 3. We have no bread. You must go to the bakery and buy some. 4. I am short-sighted. I сan't see that poster. Помогите пожалуйста выполнить задания по тексту,очень срочно завтра уже сдавать.. I'm in England. I've come to visit David and his family for a week. In fact I'll only get to meet one member of his family, his elder sister Gina, as this week his parents have gone camping in Yorkshire. Gina and David met me at the airport and brought me to their charming old house in Canterbury, ... (1). I have just arrived, and the first evening walk through the streets of Canterbury impressed me greatly. I expected it to be cold and rainy, but it is very warm, much warmer than in Moscow. Pink blossom trees are blooming everywhere. The narrow streets are lined by tiny medieval houses, where people still live. David and I walked past the open windows and watched people having dinner, reading or just sitting by their fireplaces, ... (2). I felt like I had travelled back in time and found myself in the past in what people call Merry Old England. Nothing has been changed or destroyed, or modernised. The illusion was completed when I walked up to the huge cathedral. We saw people going in and followed them. We got lucky and joined a party which was being given a very interesting guided tour. I found out that I was in the famous Canterbury Cathedral, ... (3). Its history goes back to AD 597 when St Augustine, sent by Pope Gregory the Great, established his seat in Canterbury. In 1170 Archbishop Thomas Becket was murdered in the Cathedral. The archbishop was so popular that soon after his death he was canonised, and ever since the Cathedral has attracted thousands of pilgrims from all over the world. Geoffrey Chaucer, ... (4), who is sometimes called the father of English Literature, immortalised these pilgrimages in his famous book The Canterbury Tales. I returned to the house as if in a dream, and Gina sent me straight to my room. She said I needed some rest! Then I overheard her and David discussing dinner. I heard them talking about cooking something traditional to give me an idea of what English food is like. Then I saw them looking for cookery books, but I didn't understand why. Anyway, after dinner, ... (5), I went to my room to write about my first day in England. When I saw my computer, ... (6), I even thought of writing a traditional diary so as not to break the illusion .... But then I thought that I wanted to share this amazing experience with my fellow bloggers, so here you are, friends. Breakfast brought a surprise. I expected porridge, scrambled eggs, bacon, sausages, toast and jam,... (7). Instead, I saw David and Gina taking out yoghurts, cornflakes, cheeses. All these things looked familiar. I usually have exactly the same stuff in my fridge. That felt strange. Then David had to go and Gina suggested a shopping trip while he was busy. We went to the High Street and again I was surprised. The shops,... (8) flashed familiar brand names — Mexx, Next, Zara, Marks & Spencer; Gap and so on. I seem to have overlooked them yesterday evening. After the first disappointment I was even glad. It was so much simpler to browse through familiar shops, knowing what to look for and not wasting time on something I had already tried on. In some shops they even promised that I could exchange or return their clothes in any of their affiliates in the world. That was good news, so I bought some really nice things. Later on we had lunch at an ancient-looking pub. I wanted something traditional, so Gina recommended shepherd's pie: minced meat with mashed potato in a rich gravy. However, when I looked around, I saw other people having hamburgers, pizza, sushi or chicken Tikka Masala. The waitress, who took my order, spoke English with a strong accent, and later I heard her speaking to someone in Polish. This was not my idea of a traditional English pub. After lunch Gina and I decided to go to the cinema. Gina, who is, by the way, already twenty, said she was dying to see the latest part of The Twilight Saga, ... (9). I had already seen it, but I thought I might as well watch it again in English. We joined a queue and talked about The Twilight Saga, and how popular it was both in Russia and England, and how much we were looking forward to watching the next part, and how we both liked Edward Cullen, because he was so handsome and romantic and brave and unhappy. And then I got the strange feeling that I had never left Moscow, as so many things around me were the same. We buy clothes in exactly the same shops, eat the same food, read the same books and watch the same films. When I shared this thought with Gina, she just smiled and said: "Welcome to the global village, Lisa!" 2.Write what Lisa saw,felt,smelt and heard. Model:Lisa felt happiness filling her heart. 3.Look through Liza's blog and find the sentences with the Complex Object and the Present Participle.Write their Russian equivalents. 4.Rephrase the sentences using the words and expressions in brackets. 1.Our students answer the teachers questions during the lesson. 2.Smirnov learns English words at home. 3.We usually translate long texts from English into Russian at our lessons. 4.My daughter usually reads books in the evening. 5.My friends wife knows French well. 6.She often tells me about her work. 7.After breakfast my wife and I go to the ministry. 8.He often speaks to me about his English lessons. 9.Mikes son reads French badly. Риса, и какие же слова выделены? 1. the teachers и during the lesson. 3. long texts и at our lessons. 4. books in the evening. 5.My friends и French well. 6.She и about her work. 7.After breakfast и to the ministry. 8.He и his English lessons. 1. Our students answer the teacher's questions during the lesson. Whose questions do our students answer? When do our students answer the teacher's questions? 2. Smirnov learns English words at home. Where does Smirnov learn words? 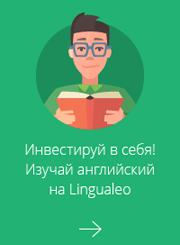 What do we usually translate from English into Russian at our lessons? Where do we usually translate texts from English into Russian? What does my daughter usually read in the evening? When does my daughter usually read books? 5.My friend's wife knows French well. What does my friend's wife know? Who often tells me about her work? What does she often tell me about? When do my wife and I go to the ministry? Where do my wife and I go after breakfast? Who often speaks to me about his English lessons? What does he often speak to me about? 9.Mike's son reads French badly. Whose son reads French badly? How does Mike's son read French? I'm in England. I've come to visit David and his family for a week. In fact I'll only get to meet one member of his family, his elder sister Gina, as this week his parents have gone camping in Yorkshire. Gina and David met me at the airport and brought their charming old house in Canterbury, ... (1). I have just arrived, and the first evening walk through the streets of Canterbury impressed me greatly. I expected it to be cold and rainy, but it is very warm, much warmer than in Moscow. Pink blossom trees are blooming everywhere. The narrow streets are lined by tiny medieval houses, where people still live. David and I walked past the open windows and watched people having dinner, reading or just sitting by their fireplaces, ... (2). I felt like I had travelled back in time and found myself in the past in what people call Merry Old England. Nothing has been changed or destroyed, or modernised. The illusion was completed when I walked up to the huge cathedral. We saw people going in and followed them. We got lucky and joined a party which was being given a very interesting guided tour. I found out that I was in the famous Canterbury Cathedral, ... (3). Its history goes back to AD 597 when St Augustine, sent by Pope Gregory the Great, established his seat in Canterbury. In 1170 Archbishop Thomas Becket was murdered in the Cathedral. The archbishop was so popular that soon after his death he was canonised, and ever since the Cathedral has attracted thousands of pilgrims from all over the world. Geoffrey Chaucer, ... (4), who is sometimes called the father of English Literature, immortalised these pilgrimages in his famous book The Canterbury Tales. 4 можно не делать.очень надо..
30. Make these sentences passive. 1)	She is still cleaning the room. 2)	Is anybody serving you, madam? 3)	The father is giving a birthday present to his son at the moment. 4)	She is telling a funny story to the colleagues now. 5)	The government is planning the city budget these days. 6)	They are waiting for Mr. Miller at the moment. 7)	His scientific supervisor is consulting him at the moment. 1. Your friends have invited you to dinner. 2. Someone has given me this book. 3. They have staged Shakespeare’s plays. 4. He has put the clock on the shelf. 5. She has lost her dictionary. 6. Nobody has ever written about her. 7. They had sent for the doctor by 4 p.m. 8. We had passed exams before he arrived. 9. By this time I will have received the letter. 10. It surprised me that they had completed their research. 1)	She is still cleaning the room. - The room is still being cleaned by her. 2)	Is anybody serving you, madam? - Are you being served by anybody, madam? 3)	The father is giving a birthday present to his son at the moment. - The son is being given a birthday present from his father at this moment. 4)	She is telling a funny story to the colleagues now. - The colleagues is being told a funny story now. 5)	The government is planning the city budget these days. - The city budget is being planned by government these days. 6)	They are waiting for Mr. Miller at the moment. - Mr. Miller are being watched be them now. 7)	His scientific supervisor is consulting him at the moment. - He is being consulted by his scientific supervisor at the moment. 1. Your friends have invited you to dinner. - You have been invited to dinner by your friends. 3. They have staged Shakespeare’s plays. - Shakespeare’s plays have been staged by them. 4. He has put the clock on the shelf. - The clock has been put on the shelf by him. 5. She has lost her dictionary.- Her dictionary has been lost by her. 6. Nobody has ever written about her. - She has ever written by nobody. 7. They had sent for the doctor by 4 p.m. - The doctor had been sent by them by 4 p.m.
8. We had passed exams before he arrived. - Exams had been passed by us before he arrived. 9. By this time I will have received the letter. - The letter will have been received by me by this time. 10. It surprised me that they had completed their research. - It surprised me that their research had been completed by them. 10. Suggest the Russian equivalents for the following. Particular job, to date from the Middle ages, to pay attention to philosophy, in 1849, special eminence, although, financial support, to spend money, at ordinary level, to receive grants, to study art subjects, to confer a degree, to carry out research, to write thesis, to preserve traditions, to have meals, correctly dressed, five passes. 11. Agree or disagree with the following statements. Support your judgement. 1.Polytechnics prepare students for social work. 2.The two oldest universities of Great Britain are the universities of London and Manchester. 3.Oxford pays much attention to art subjects. 4.All British universities receive financial support from the state. 5. Three passes at “O” level and two passes at ”A” level are necessary to enter the university. 6.students receive grants from public to private funds. 7. It is necessary to write a thesis to get the Bachelor of art degree. 8. The degree of Doctor of Philosophy is conferred after the graduation from the university. 9. Oxford students must wear casual clothes at the university. 10. All members of the royal family studied at Cambridge. 12. Fill in the missing words. Universities and polytechnics and … provide higher education in Great Britain. Today there are … forty universities in Britain. Oxford …philosophy, classical languages and literature. Every university is independent, and responsible to its own … . Students are accepted … their result of GCSE at ordinary (0) level or advanced (A) level. As a rule, it takes 3 or 4 years … the university. All students have tutors who are responsible for the student’s … . Students … at the end of their third or fourth year and get Bachelor’s degree. 1.How many universities are there in Great Britain? 2. What are the oldest British universities? 3. What universities have a special eminence among the English universities? 4. British universities are private institutions, aren’t they? 5. How long do studies at the university last? 6. What university degrees can graduates be awarded? 7. When is the Bachelor’s degree awarded? 8. When is the Master of Art degree conferred? 9. When is the doctor of Philosophy degree awarded? 10. What are the special traditions in Oxbridge? 11. What are the famous alumni of these two universities?